Lance Stephenson didn’t waste any time in his return to the Indiana Pacers. The feisty guard sparked the team to a 108-90 win over the Toronto Raptors with his performance and his showmanship. 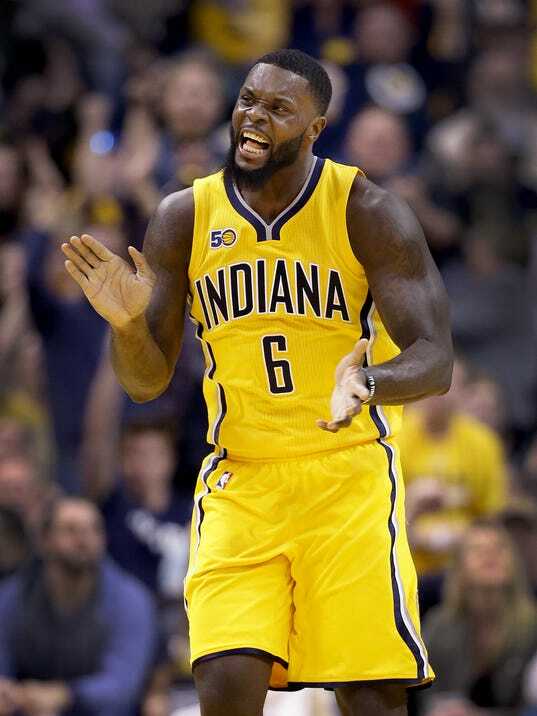 INDIANAPOLIS – After nearly instigating a brawl with the Toronto Raptors on Tuesday night, Lance Stephenson realized something. He was staying at the same Downtown hotel as the Raptors, who still wanted a piece of him. Stephenson may need bodyguards, but he is giving the Pacers exactly what they need. Since arriving three games ago as the NBA’s most controversial late-season addition, Stephenson has fuel-injected the team with passion, bravado and energy. Simply put, the Pacers have been Lanced. He enters the game, and the crowd at Bankers Life Fieldhouse starts buzzing. He immediately picks up the Pacers’ intensity level, and teammates follow his lead.